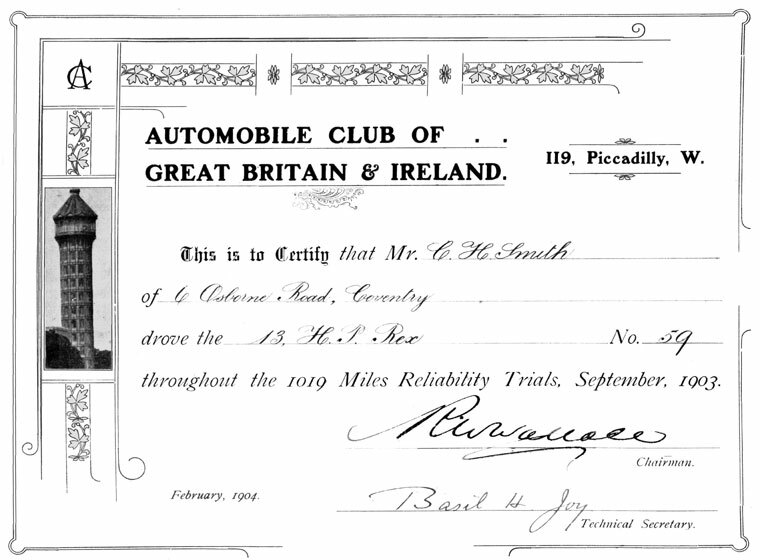 This certifys that Mr C. H. Smith drove the 1019 miles reliability trials in september 1903. 1897 August 10th. 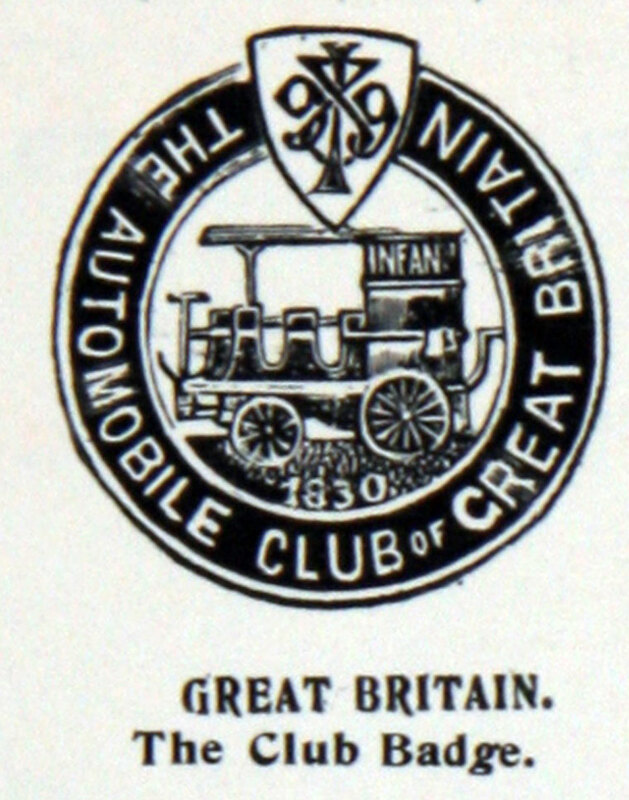 The club was founded as the Automobile Club of Great Britain (and later, Ireland) by Frederick Simms with Evelyn Ellis as Chairman and Charles Harrington Moore as Secretary. The owning company was Automobile Proprietary Ltd.
1899 November 8th. The house journal then called Automobile Notes and Notices first published. 1901 March. AGM report. Members are 710 at 31st December - up from 586 one year earlier. 1902 March. Detailed manifesto 'in view of pending legislation'. Move to 119 Piccadilly from Whitehall Court sanctioned. 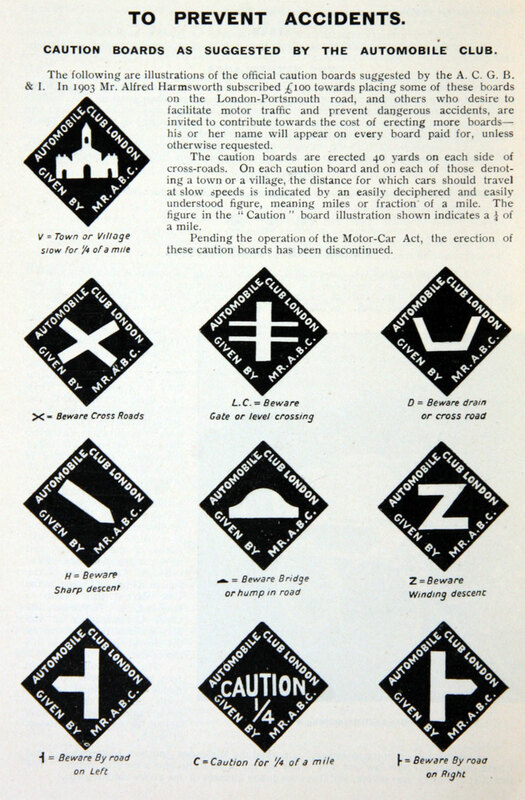 1905 Organised the first Tourist Trophy race, for motorcars - see 1905 Automobile Club of Great Britain and Ireland. This page was last edited on 27 March 2018, at 01:12.